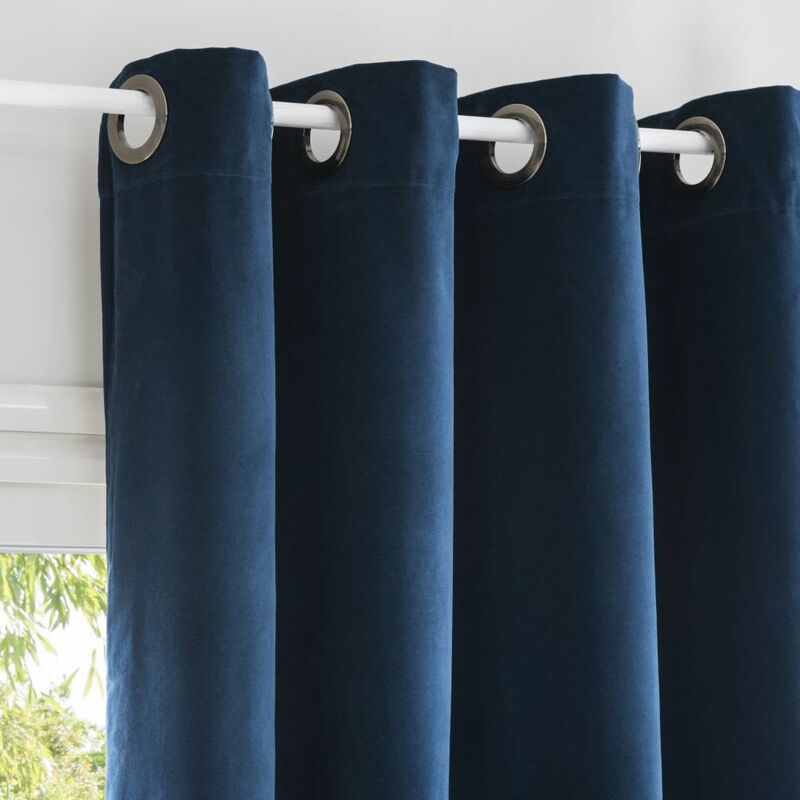 Allow yourself to be won over by the elegance of the Navy Blue Velvet Eyelet Curtain 140x300. You won't be able to resist its colour that reminds you of the ocean. If you're not yet convinced, then its velvety texture should be enough. Your interior will be super cosy. It's the perfect curtain for creating a nautical ambiance in your home. Team it with an ecru washed linen sofa, rattan mirror, whitewashed wooden furniture and striped cushions. If you prefer classic chic style, then it will work too. 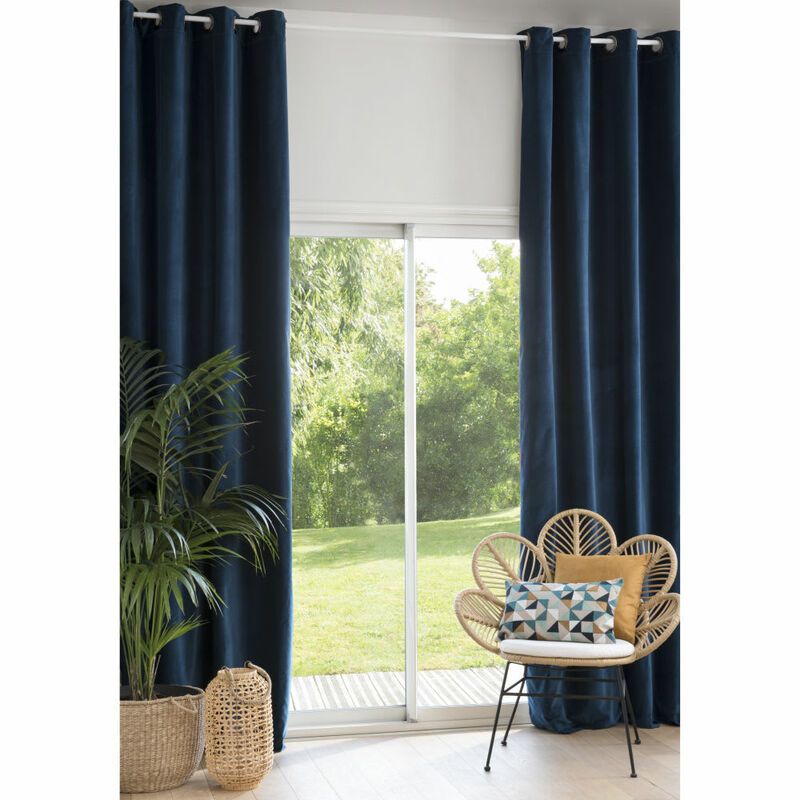 This navy blue curtain is sure to charm you!